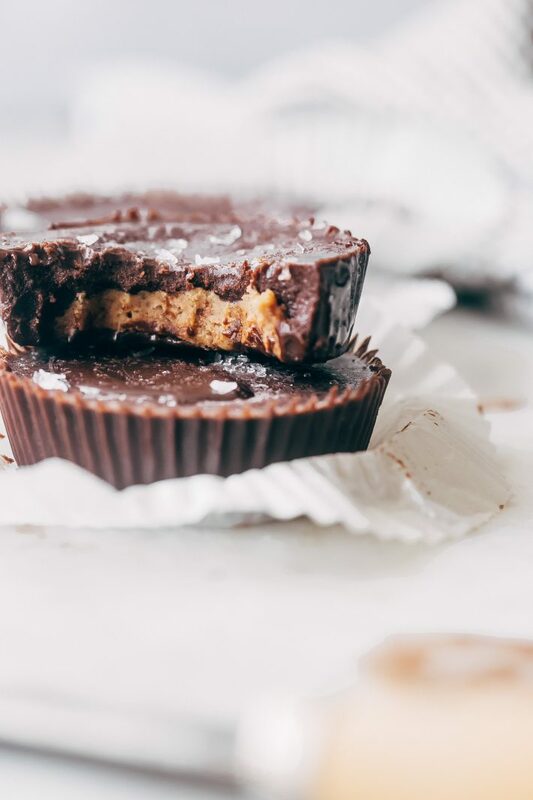 Regular old peanut butter cups get a facelift! 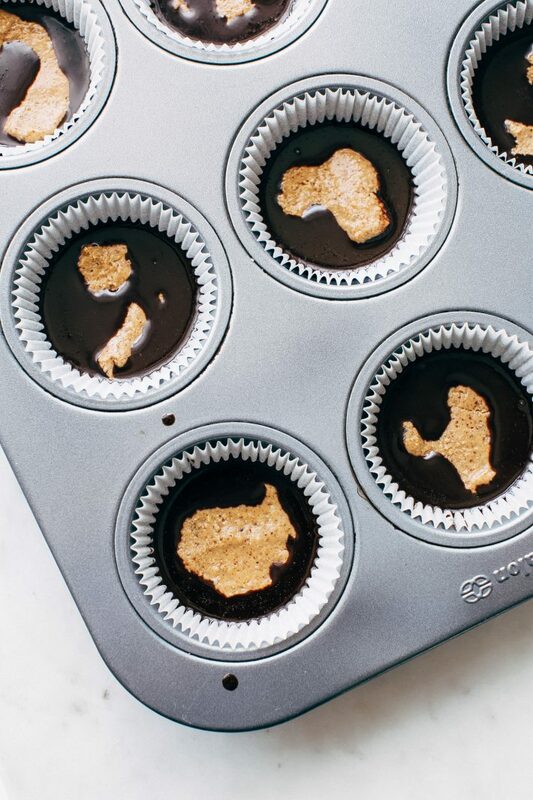 We’re making Mocha Almond Butter Cups today! Coffee flavored chocolate with creamy smooth almond butter inside. So good and completely dairy-free, vegan, naturally sweetened, and gluten-free! 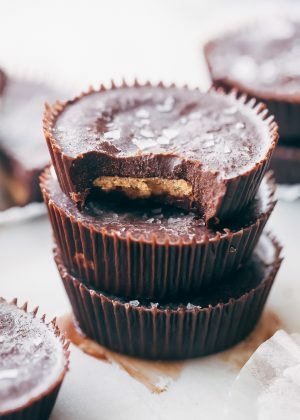 Mocha Almond Butter Cups for Dayz! 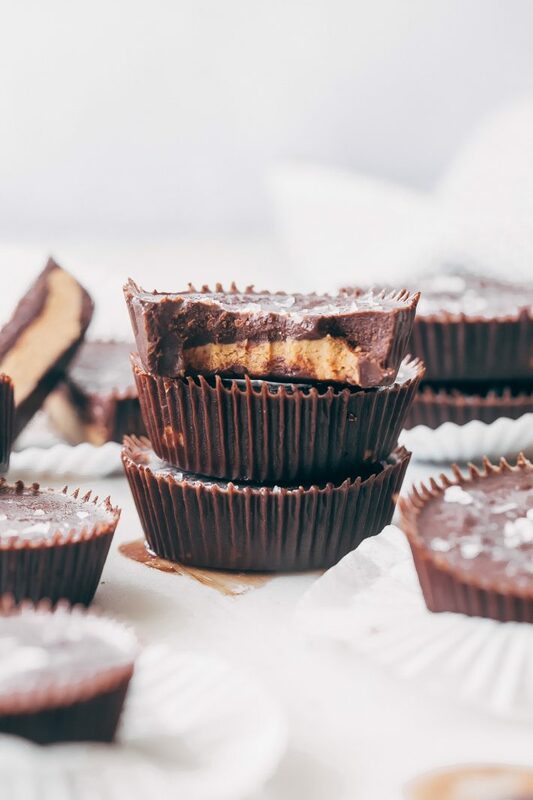 Call it mocha flavored chocolate wrapped around an almond butter center or a, shall I say, better version of the ever so famous peanut butter cups? A few different reasons make these cups better. 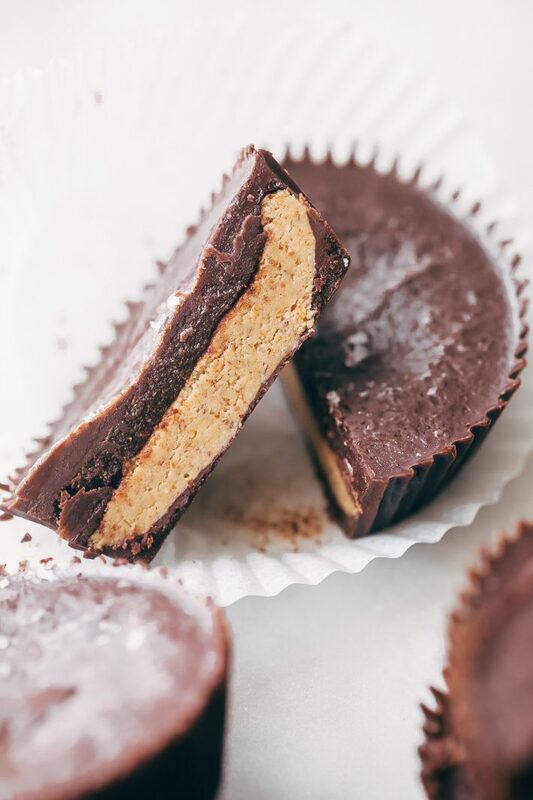 Starting with the fact that there’s coffee in our almond butter cups. If that wasn’t enough, these are for my friends with peanut allergies. But also these are clean! As in there is no dairy or artificial sweeteners here. Plus they’re fit for vegans and those that follow a gluten-free diet. This is real food. 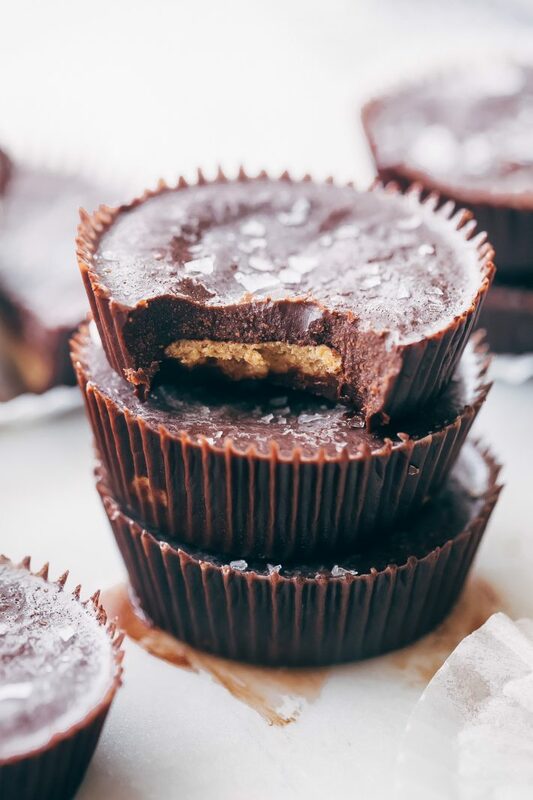 So much to love about my mocha almond butter cups. I shared these a couple of weeks ago on Instagram, and within five minutes of my post going up, I got a message from my sister saying she ‘needed these in her life.’ And I have to say I agree. We all need these in our life. And by that, she meant she wanted the batch I made in her life. Younger siblings are always so spoiled, aren’t they? Needless to say, she tried them the next time she was over. I couldn’t believe my ears when she said she loved them MORE than her beloved peanut butter cups. This is the girl that ate a peanut butter cup almost every single day during her middle school and high school days. Side note: oh to have that kind of metabolism again! We’ll start with the ‘chocolate’ We’ll combine the melted coconut oil, cocoa powder, choice of sweetener and the espresso powder in a bowl to make our homemade vegan chocolate. You can play around with the amount of espresso powder you use. If you want just a hint of mocha, use 1½ teaspoons for more flavor you can use as much as 2 ½ teaspoons. Any guesses on how much we used and preferred? Now drop a couple of tablespoons into a muffin paper-lined cupcake pan. Add a generous dollop of almond butter followed by another drizzle of the cocoa mixture. Add a pinch of sea salt if you’d like and then pop these babies into the refrigerator for a few hours. Can’t wait that long: pop it into the freezer for 30-45 minutes. Take five. Unwrap a mocha almond butter cup, and savor every single bite. You get a hit of that mocha chocolate first, followed by creamy almond butter and it’s so hard to eat just one of these! P.S. If you can get your hands on vanilla flavored almond butter, it works so well here. Like, way too well. 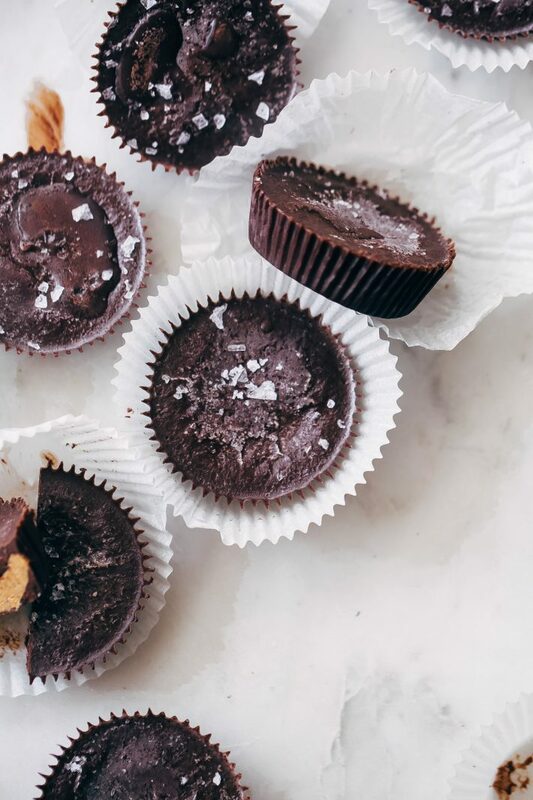 And in our house, we’ve unanimously agreed that we’ll have a batch of these mocha almond butter cups in the fridge at all times. Oh and also, I’m usually not the biggest fan of maple syrup, but I have to say, you can’t even taste it here! It works beautifully as a sweetener so don’t be afraid to use it! All caps – THESE WILL CHANGE YOUR LIFE. 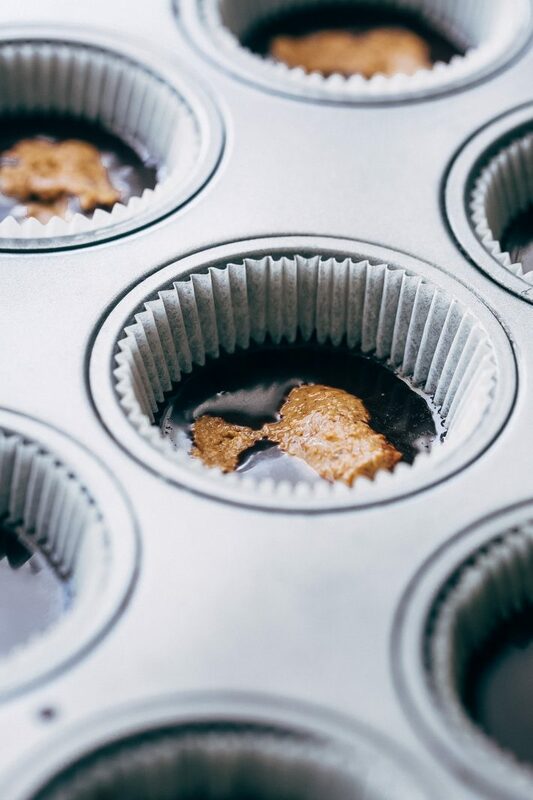 Line a muffin pan with cupcake liners. In a 4-cup measuring cup, whisk together the coconut oil, cocoa powder, your sweetener of choice, and the instant espresso powder. Start with 3 tablespoons of sweetener and adjust as desired. Fill the prepared muffin cups with roughly 2 tablespoons of the cocoa mixture, don’t use more than half of the cocoa mixture. Place 2-3 teaspoons of almond butter on top and pour enough of the chocolate to cover the almond butter completely. You can also just press the almond butter down if it’s poking up. Sprinkle with a pinch of sea salt and refrigerate for 3 hours or freeze for roughly 45 minutes to an hour! Repeat the process often. I find using a ‘no-stir’ almond butter works best here. You don’t want to use one that has the oil separating from the butter easily.